Author of Before We Visit the Goddess to Delhi, Jaipur, Kolkata, Bengaluru and Chennai. 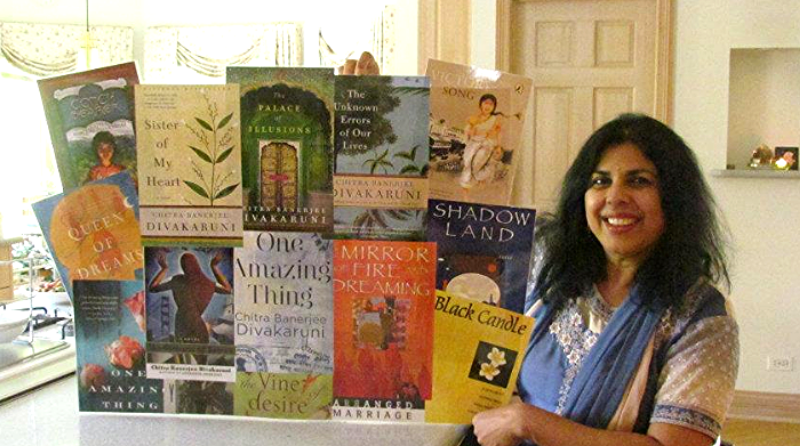 Prominent Indian American author Chitra Banerjee Divakaruni will tour India starting January 16 to promote her latest novel, Before We Visit the Goddess. The award-winning author and poet will be visiting Delhi, Jaipur, Kolkata, Bengaluru and Chennai.to promote the book, which came out last April, she announced via Twitter. @cdivakaruni wish you even greater success! One of the Houston-based writer’s main stops in India will be the ZEE Jaipur Literature Festival, which begins on January 20. The JLF, which will celebrate its 10th year, brings acclaimed authors from across the world to participate in provocative discussion about art, society and life in general. In Kolkata, Divakaruni will be speaking at the Tata Steel Kalam on January 26. The Kolktata-born Divakaruni began her career as a poet. Two of her works have also had film adaptations, The Mistress of Spices and Sister of My Heart. The Economic Times named Divakaruni on their list of “Twenty Most Influential Global Indian Women” in 2015.